Went to Bald Head Island this morning and picked up Mark Siebach, Preston McComas, and Hunter and Nichole Stewart from Apex, NC. We did 1/2 day today after having to cancel our offshore trip due to the approaching storm. 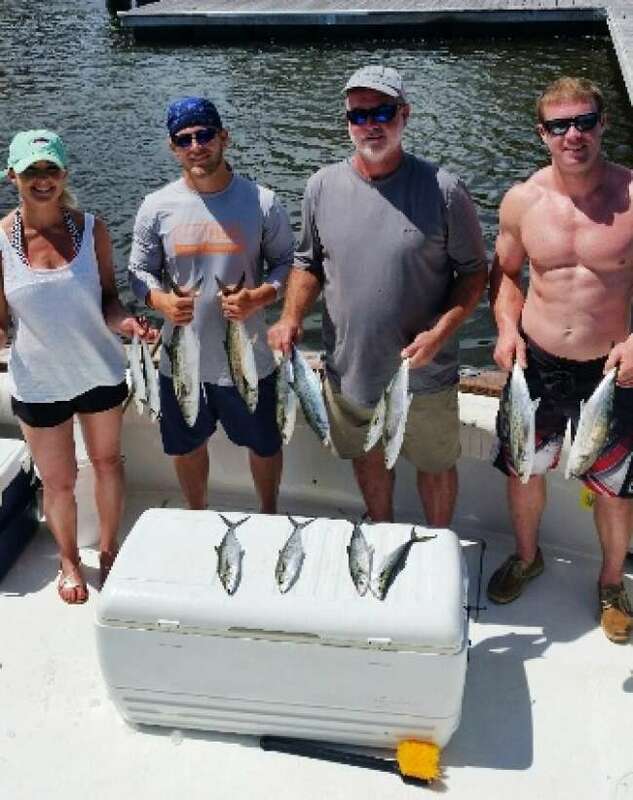 Spanish Mackerel was the fish of choice this morning and we were blessed with some very nice fish that we caught off Southport / Oak Island . After we got all these we wanted we went 2 and 0 on the sharks. Good hard runs, just no hookups. With the winds picking up more we decided to call it a little early and head back to the BHI.